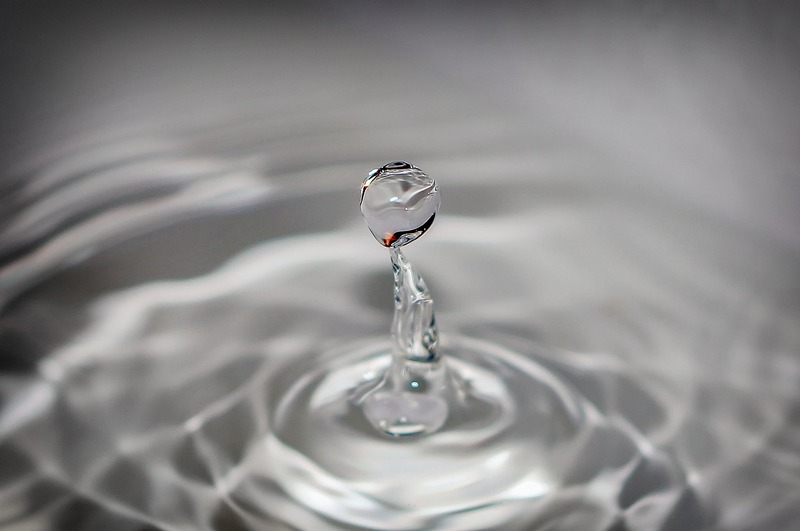 Water shortage is a pressing issue worldwide: According to the UN, 1.2 billion people (almost one-fifth of the world’s population) live in areas where water is scarce, and another 500 million people are nearing this situation. It’s no wonder, then, that the world is seeking to produce and conserve water – both for drinking and for agriculture – especially during droughts. If only we could only find a way to produce water out of thin air. Fortunately, Israeli researchers say we can. Scientists at The Technion – Israel Institute of Technology in Haifa, have proposed an innovative system for harvesting safe drinking water from air. Energy-saving method, higher quality water. Atmosphere contains water vapor in amounts comparable to all the surface and underground water on the planet. But current machines that collect water from the atmospheric reservoir have major limitations. They use electrical refrigeration to cool the air and condense the vapor and that consumes a lot of energy. 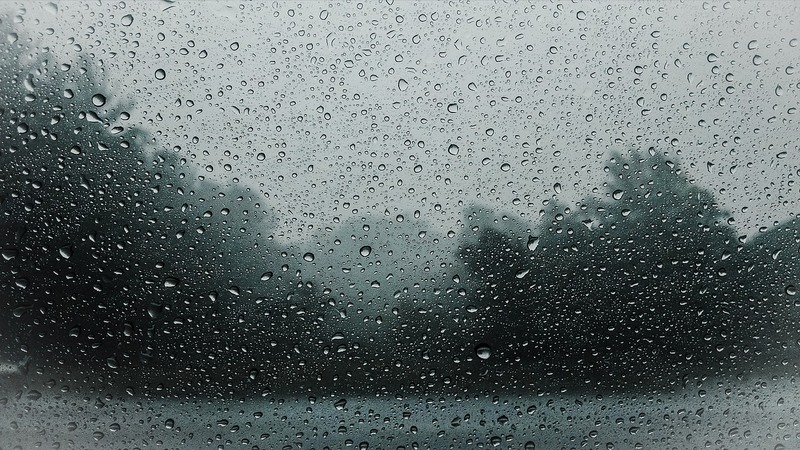 Capturing atmospheric moisture is not a new invention in itself because atmospheric water generators for commercial and domestic use already exist. 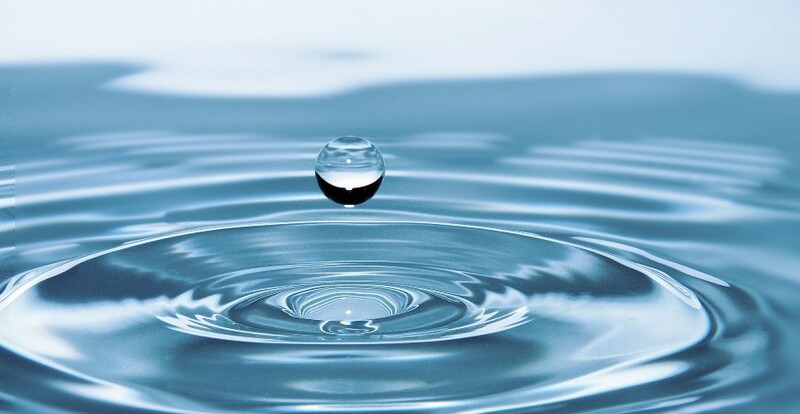 However, the new device designed by Israeli scientists requires less energy to produce high-quality water from air compared to existing systems, according to the report in American Chemical Society’s journal Environmental Science & Technology. The new Israeli system uses a liquid desiccant, a substance that promotes drying, to first separate the water vapor from air and then cool only the vapor. Their calculations show that this approach would result in 20 to 65 per cent energy savings over the standard system. 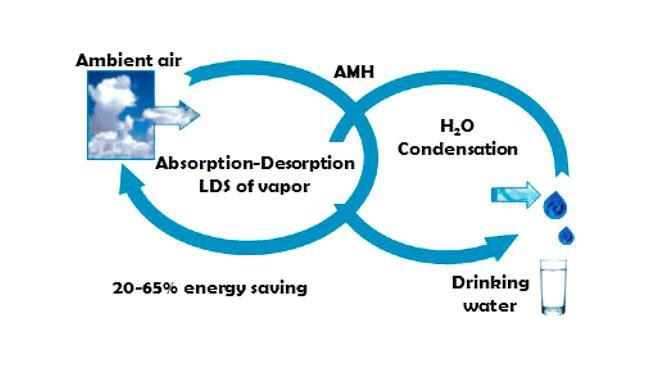 “The liquid desiccant separation (LDS) stage that is integrated into atmospheric moisture harvesting (AMH) systems can work under a wide range of environmental conditions using low grade or solar heating as a supplementary energy source, and that the performance of the combined system is superior,” the report says. 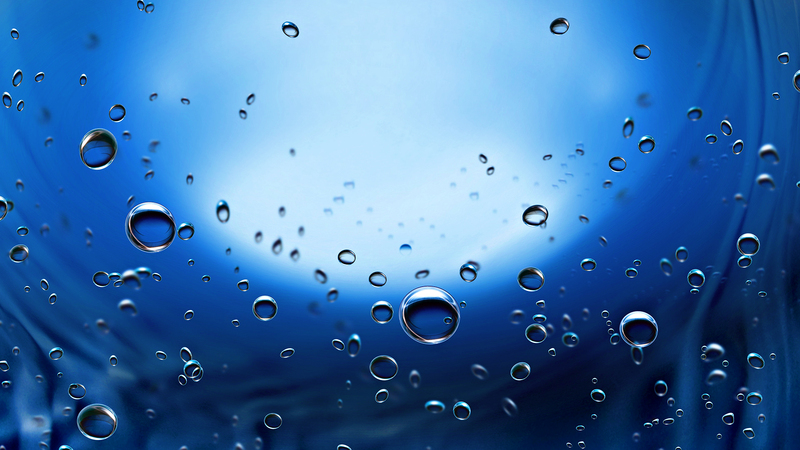 Desalination of seawater, removal of salt (sodium chloride) and other minerals from the sea water to make it suitable for human consumption and/or industrial use, by reverse osmosis, a water purification technology that uses a semipermeable membrane to remove ions, molecules, and larger particles from drinking water, is also a potential source of fresh water, but it is not applicable in countries that do not have access to the sea. Besides, desalination requires large capital investments in piping and pumping infrastructure and in its operation and maintenance. Fortunately for the Israeli system, atmospheric moisture is accessible essentially everywhere. Another important advantage, according to the report, is that the water coming out of the LDS-AMH system will be free of airborne bacteria since “the coil of the condenser does not come into contact with the ambient air but only with pure vapor that has been liberated from the desiccant solution.” So, the next time you get thirsty, consider that it really is possible to produce water out of thin air.